I received traditional (snail mail) postcards from all marked places (see Postcards list). 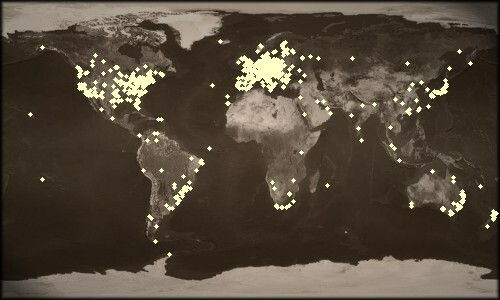 Over 1400 registered users from 72 countries (7 continents). Starting form January 2009 list will be no longer updated, although I'm still waiting for your postcards!